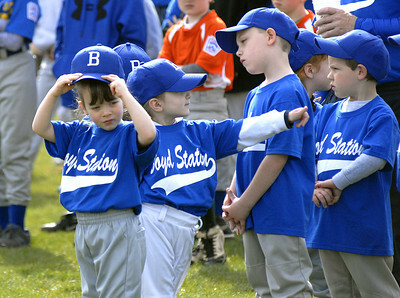 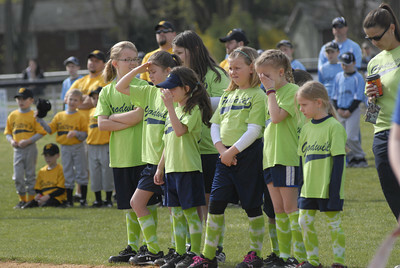 Morgan Gerringer, 4, adjusts her hat while waiting with her team, Boyd Station, for the start of Danville's 2012 Little League season Saturday at the Washies Little League Complex. 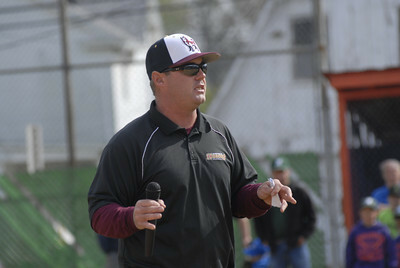 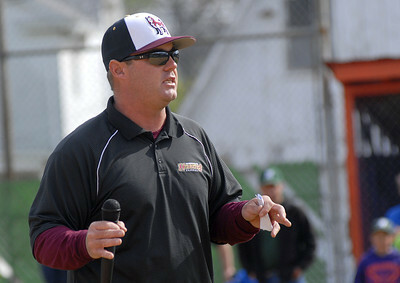 Mike Collins, Bloomsburg University's baseball coach, addresses athletes and their families Saturday April 14, 2012 during the opening ceremonies of Danville's 2012 Little League season at the Washies Little League Complex. 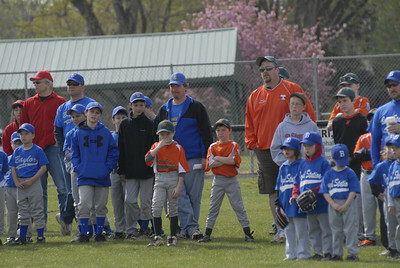 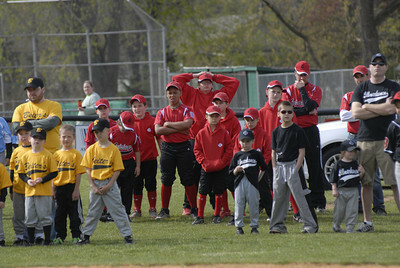 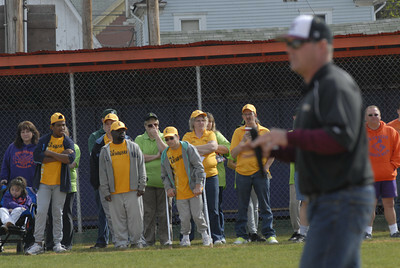 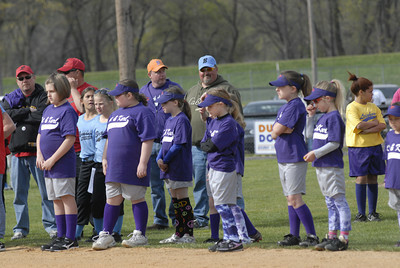 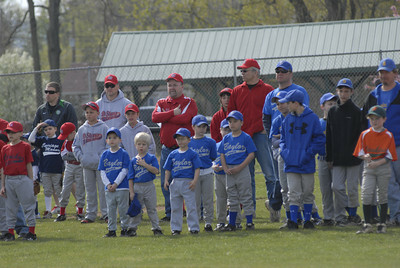 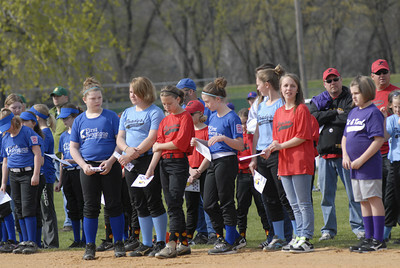 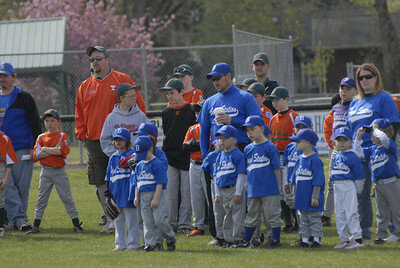 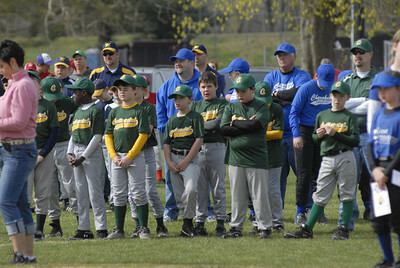 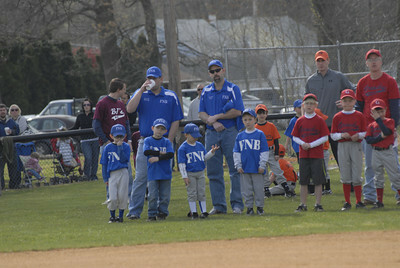 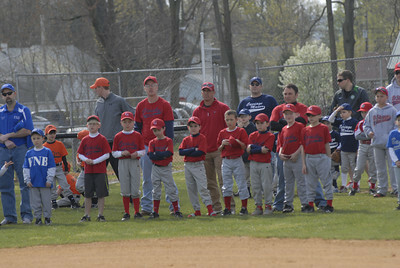 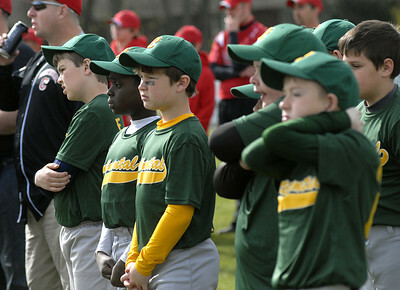 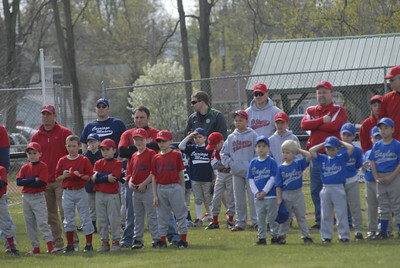 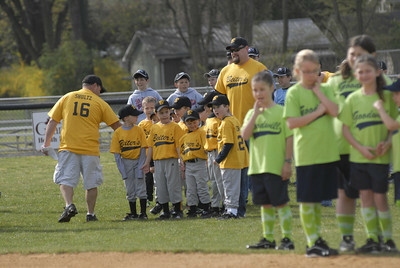 Members of the Continental team listen to Bloomsburg University's baseball coach, Mike Collins, during the opening ceremonies of Danville's 2012 Little League season Saturday at the Washies Little League Complex. 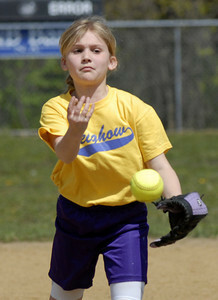 First Keystone's Brittney Toborg sends the ball to the plate during the their first game of Danville's 2012 Little League season Saturday. 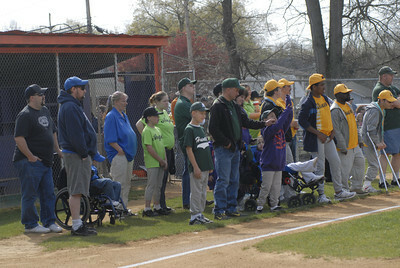 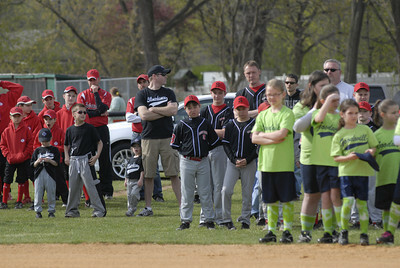 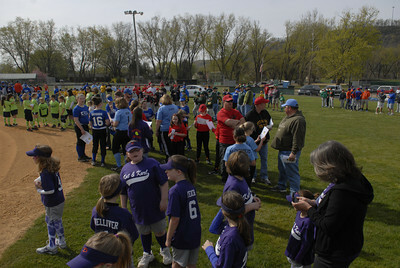 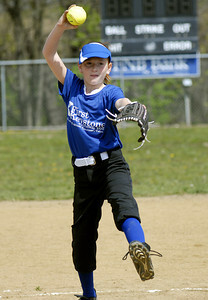 Leighow's Olivia Yakup sends a pitch to the plate during opening day of Danville's 2012 Little League season Saturday.